So here I am listening to BBC Radio 1 and trying to keep calm and carry on while I accept that Rammstein's latest album release goal is spring 2019. I had just set a goal for myself of finishing my draft of Matka Danu Miklagarth by the album release, but at this point, I hope to have Matka written, rewritten, revised, edited, and queried by then. By God, I could have an agent by that time if I'm very lucky. Anyway, what is it that Abraham Lincoln said? "Good things come to those who hustle while they wait." Yeah, I'm pretty sure I saw that on a motivational poster. Okay, new goals. I want to have my book in the hands of beta readers by Christmas this year and start querying in the winter. 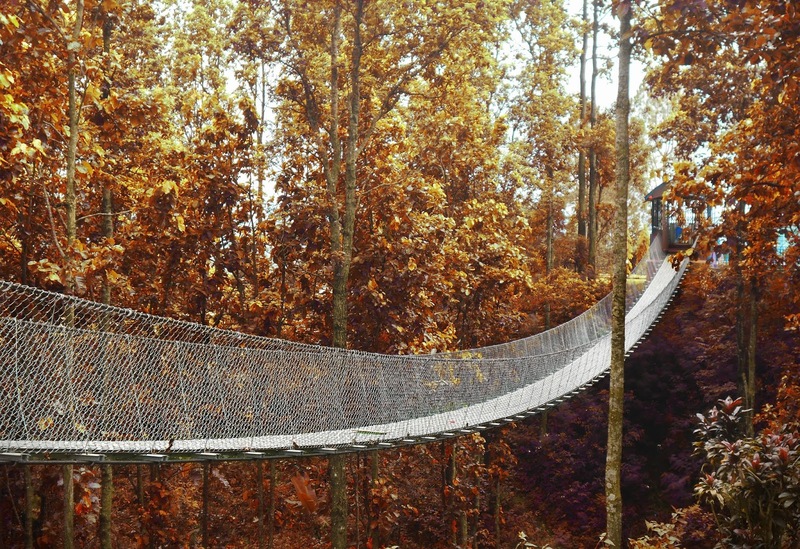 And right now, I may just have to console myself and learn to appreciate lengthy suspense--and suspension--at the longest canopy walk in the United States, which opens this weekend. See you there? OH HOLD THE PRESSES! I just now found out--as I am sitting here typing this--that the great and mysterious Christina Mitchell is fully finished with her novel How to Stay (Book 1 of the Bad Girls of Cherry Lake series) and exploring a new set of options for how to present this marvelous story to the world. Hooray for celebrating milestones along the perilous journey from idea to shareable work of art! And also for enjoying the process and blah dee blah, because thick, juicy novels and six-man epic heavy metal albums can take a very long time to complete.